Customers tend to save their favorite products into Wishlist to review and buy later. However, it is difficult to manage your favorite products when they are focused on one wish list and cannot be categorized, thereby making customer experience worse. Mageplaza Better Wishlist will solve this problem. This module will help customers easily create and update various WishList in accordance with different purchase needs. Thanks to this extension, customers can apply a range of actions to their wishlists such as delete/ move/ share them. Moreover, the module reports the most concerned and most recently added products in Wishlists, which helps help stores improve sales and increase loyal customers quickly by capturing the needs and shopping trends of them. Enable: Select Yes to turn on the module. Remove Products after Add to Cart: Select Yes to automatically delete the product from the Wishlist after Add to cart. 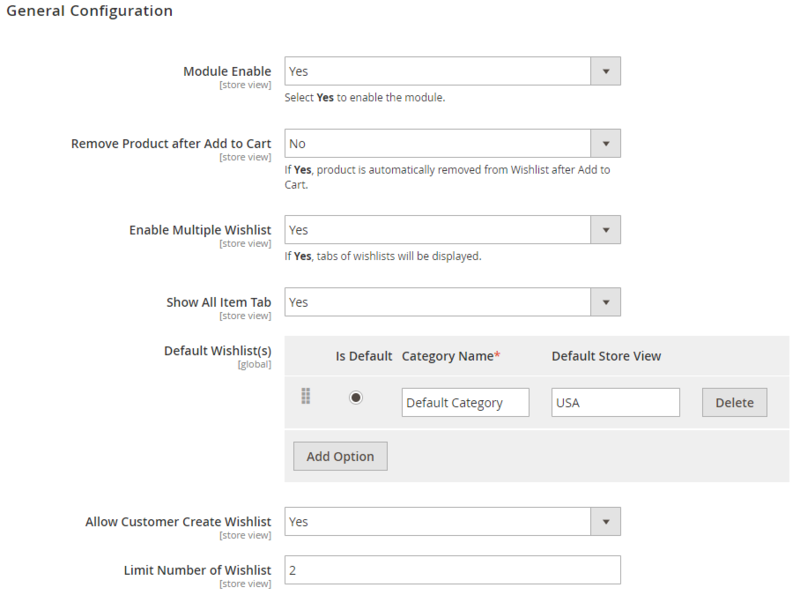 Choose Yes so the admin can configure some settings on multiple wishlist, including Show All Item Tab, Default Wishlist(s), Allow customers to create Wishlists. 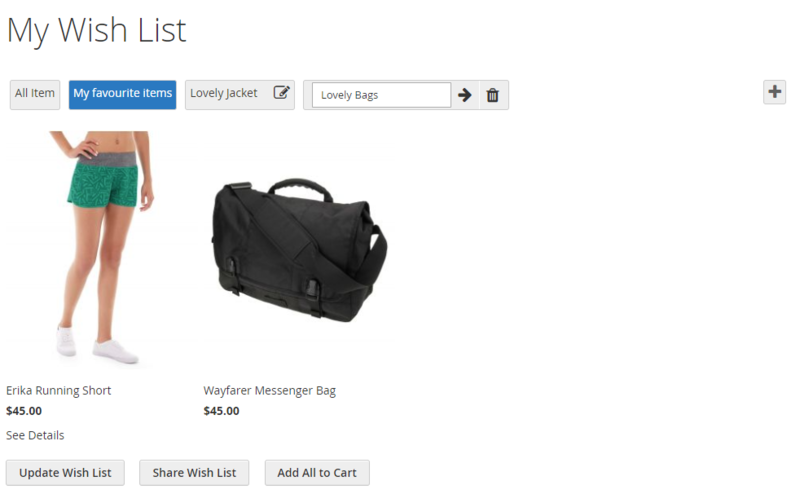 Show All Item Tab: SelectYe to display a tab containing all Products of the Wishlists. Add and delete the Wishlist Categories displayed by default in Wishlists. Select Yes to allow customers to create a Wishlist Category. Show more Limit Number fields of Wishlists created by customer to limit the number of wishlist categories created by customers. If you leave it blank or enter 0 then the default number of wishlist customers created is 5. For admins, they can create numerous Wishlists without being affected by Limit Number of Wishlists created by customers.